Become our Partner or Franchise. We provide all know how and support to enable you to become a partner or a franchise of outlife. Our Partners are carefully selected for their passion for outdoors, experiential education, training and facilitation. ​Great Hyderabad Adventure Club or GHAC a Not for Profit Adventure Club that caters to Outdoor and Adventure Activities like Trekking, Hiking, Camping, Outdoors, Nature and Adventure sports like Bouldering, Rock climbing and Rappelling to name a few of the activities that are conducted regularly in Hyderabad, Telangana and Rest of India. 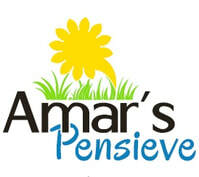 “Amar’s Pensieve” is a dedicated venue for facilitation and training. It is located around 30 Kms (40 min) from Gachibowli Circle (Hyderabad’s happening business location), at Mothukupally Village, Moinabad Mandal. Outlife is a training company specializing in the filed of Outbound Training and Experiential Education. We are looking to partner with companies and professionals working in the education, training and facilitation eco system. We have a open culture and once you partner with outlife it is fun, working and growing together. Please choose a option the resembles the work you do.